Senator Bourne: How do you account for this wave that washed you off amidships? Mr. Collins: By the suction which took place when the bow went down in the water. Bourne: And the waves broke over the deck and washed you off? Collins: Washed the decks clear. Bourne: How many were around you at that time that were washed off? Collins: There were hundreds on the starboard side. Bourne: And you think every one of the hundreds were washed in the water? Collins: Yes, sir; they were washed off into the water. From this we can attain that there were “hundreds on the starboard side” where Murdoch was attempting to launch collapsible A. Another interesting facet of the information gained by Alice Braithwaite is that Collins saw “three officers trying to control the situation, including the one whom he had seen at Lifeboat # 16.” Since Lightoller and possibly Wilde were on the port side at this time launching collapsible B, these three officers could be Murdoch, Moody and Purser McElroy. 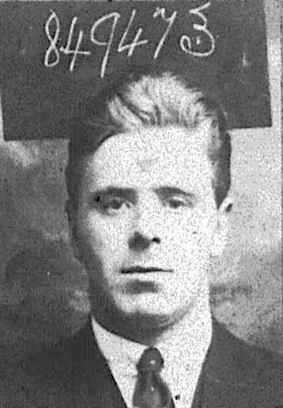 As for the identity of the officer who committed suicide, Collins believes it was the same officer he saw at lifeboat No.16 who he described as “the senior mate, the one next to the captain”. It is accepted that Wilde was generally more involved in the port side evacuation and hence he fits the description well, although since Murdoch was “senior mate” or Chief Officer before Wilde and he was seen on the port side “at times,” it could also refer to him. I have also received a note from Titanic researcher and author Inger Sheil who mentions that she has a "a fuller version of the Collins account, in which it becomes fairly clear from the way in which the officers are described that the suicidal officer is Wilde (that is, if this story with its tangled provenance is to be believed)." One may wonder what knowledge a 17 year-old assistant cook –first time on a ship- would have of the senior crew, knowledge only related 15-20 years after the disaster. Nonetheless, his evidence at the Inquiry, with clear, specific details, does not contain any glaring errors or exaggerations that would betray a man prone to fantasy or conjecture.